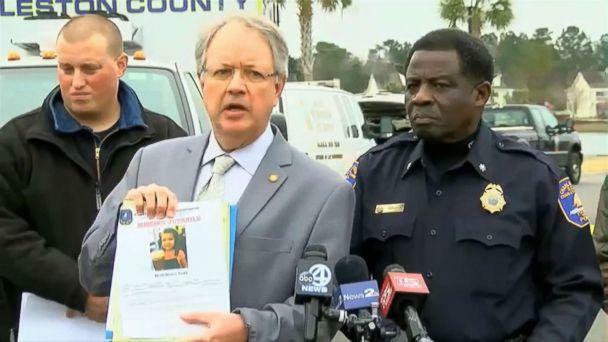 Authorities have found a missing 4-year-old from Charleston, South Carolina, after she vanished from her home when an intruder forced his way in and beat her mother so badly she had to be taken to a hospital, police said Wednesday. Charleston ABC affiliate WCIV reported the girl, Heidi Ranae Todd, was found safe outside Birmingham, Alabama, on Wednesday evening. WCIV tweeted video of officials taking Todd to the Alabama Department of Human Resources before being reunited with her family. The suspect, identified as Thomas Lawton Evans, was able to escape capture initially, but was later taken into custody at about 11 p.m., according to The Associated Press. The AP reported the girl was found by police in a car with Evans and he sped off after handing over Todd. He was arrested after a police chase in Mississippi, the AP said. 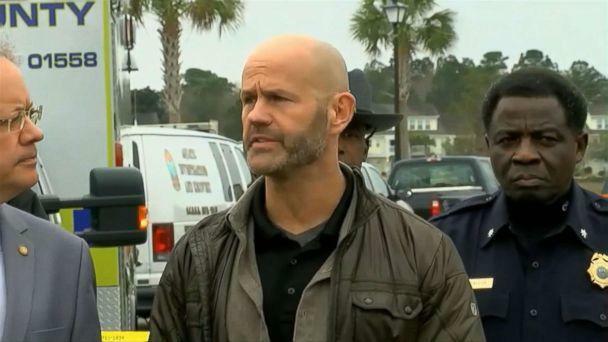 The child was reported missing about 5:50 p.m. Tuesday in the Johns Island area of Charleston after police were called to her family's house and found the mother had been assaulted, Charleston Police Chief Jerome Taylor said a news conference Wednesday. Police were called to the house on Sweetleaf Lane after Heidi's mother did not show up at a school to pick up her other children, he said. The mother told police a man forced his way into the home and beat her, the chief added. "It was an unwanted guest. She did not invite anyone into her residence," Taylor said. "The individual was not invited into the residence." The chief did not describe the incident as a kidnapping, saying, "I don't know if she [Heidi] is with this particular individual or not." Two other children were inside the home at the time of the attack, Taylor said, but Heidi was the only one missing. The FBI was involved in the investigation and had offered a $10,000 reward for information leading to Heidi's recovery. The mother, whose name was not released, might have to undergo surgery, Charleston Mayor John Tecklenburg said. Heidi's father is a member of the U.S. Coast Guard and was out of town on a training exercise at the time of the attack, Tecklenburg said, adding the father has since returned home. The mayor said there was no Amber alert issued for Heidi because authorities did not have enough information to meet the criteria for one. "We don't even know if a vehicle was involved," Tecklenburg said.